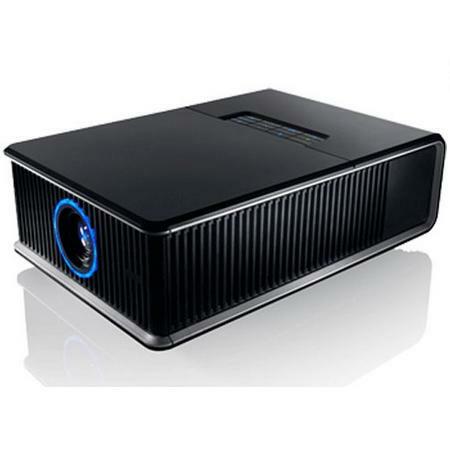 Offering best-in-class performance and a wealth of features, the IN5500 series projectors use DLP? DarkChip?3 technology and InFocus award-winning BrilliantColor? implementation, and offer up to WUXGA (1920 ? 1200) resolution. These projectors are ideal for demanding professional applications requiring flexible lens options. With rich connectivity and embedded networking, the IN5500 series also features a filter-free design for fail-safe 24/7 operation. Customizable skins and an integrated cable management give the IN5500 series a sleek, elegant profile to complement any venue. And with a high brightness of up to 7000 lumens, any audience will sit up and take notice. DisplayLink Display over USB capable, LitePort jpeg player available via separate built-in USB connector. second conponent input available with optional VGA to Component adapter.